If you’ve been listening to MTG Fast Finance, you’ll know that I’ve been talking up foil Wastes. Collector’s number 184 specifically, because that bismuth art is leagues better than the “dusty cloud” of #183. Copies are hanging around at about $14 today, and have been creeping up since release. I check the cheapest copies on TCG each morning, and I don’t think I’ve seen the price drop once in the past three weeks. Anyone with a soap box pegged foil Wastes as soon as the leak hit Twitter so many months ago, and it’s looking like we all had the right idea. Of course, the best way to make a good spec even better is to pay below-market rates. That’s extremely useful advice, right? “Instead of paying retail, pay below retail. Thanks Travis!” Boy you guys are really getting your money’s worth. Well, I found a place to pay below retail. Chances are you have an account there already. 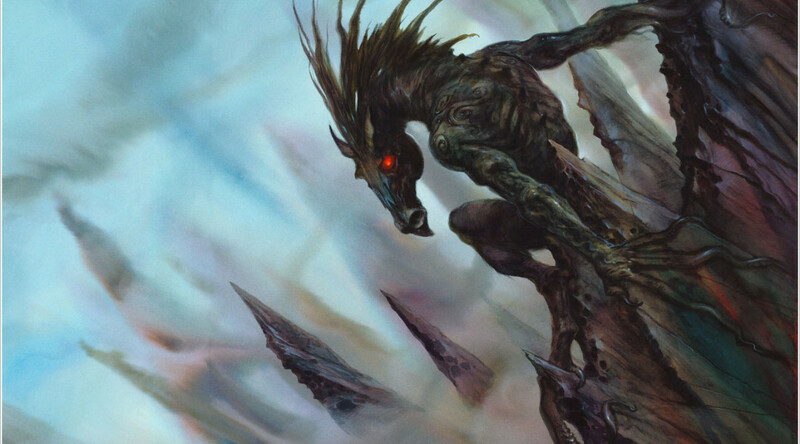 Anyone have Puca points they want to sell me? I’m buying at $.68/100. 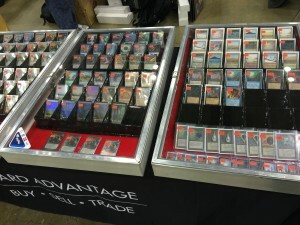 At $.68 per 100 points, and 1599 point foil Wastes, I’m picking them up at $10.80 (shipped!) each. It’s not like I’m getting them at half price, but hey, it’s $2 or $3 off. Hard to argue with that. Travis, another good article and I wanted to say how much I enjoy the podcast too! I’ve been lodtening since Episode 1, and consider myself a devotee, so the upcoming suggestion is just that: As much as I enjoy the banter biplay between you and James, and the oodles of financial advice, I would be remiss if I didn’t mention how distracting James’ overuse of the word, “Um” is… Perhapss he could try to be more aware of it during recording, or maybe just edit out some of the excessive instances during editing? Anyways, just my humble critique. Either way, keep up the great work both of you, and I look forward to much more quality content! Thanks for the feedback. Believe it or not I try to edit out some of the excessive “ums,” though I do prefer to produce a more organic, less-edited track. You can go crazy trying to trim out all of those missteps in speech, and even if you do, the end result can sound robotic and unnatural. I will certainly pass this along to him though, and will be sure to include some good-natured ribbing to boot. Hey Slag. Thanks for the support. I’ll try to watch the “ums” while continuing to deliver solid content for you guys. Take care. Those have been a distraction to me as well. I want to trust the specs you guys provide, however I am cautious after James recently reviewed some of his specs in an article. I give him a TON of credit for being transparent, however the recent track record was pretty bad. That being said, the logic you guys use is pretty sound. I also think you should change the name or trim down the length as I don’t consider an hour podcast to be “fast”. Thanks and similar to the poster above these comments are from someone who wants the show to be great and wants to trust the advice. I don’t quite understand your concern about James’ specs. Can you expand on this please? He’s referring to the Digging for Dollar series where I try to identify outsider long shot specs for each new set around it’s release. J, it’s important to recognize that Digging for Dollars is NOT my main spec basket, but simply a sidebar to our main set reviews by the rest of the crew, and a thought experiment on what others might be missing. These specs are not expected to pay off en masse, but there has been gold in every list so far. Hope that helps. Killing it with the podcast guys. I find nothing distracting, all gold. Keep it rolling! I noted that you’ve covered pucatrade based on the US context. I’d like to add my two cents worth from an overseas perspective. Assuming a card that normally sells at 10USD (1000pp, or ~14SGD when converted), it may be purchased at 10-12 SGD and shipped out at 10USD (14SGD). What this implies is an incredible arbitrage opportunity of up to 30-40%! That’s enough of a margin to make a job out of it.